Where is the best place to bet on your favorite sport? A Las Vegas sportsbook allows you the convenience of placing a bet and watching the game along with every other event happening at the same time. 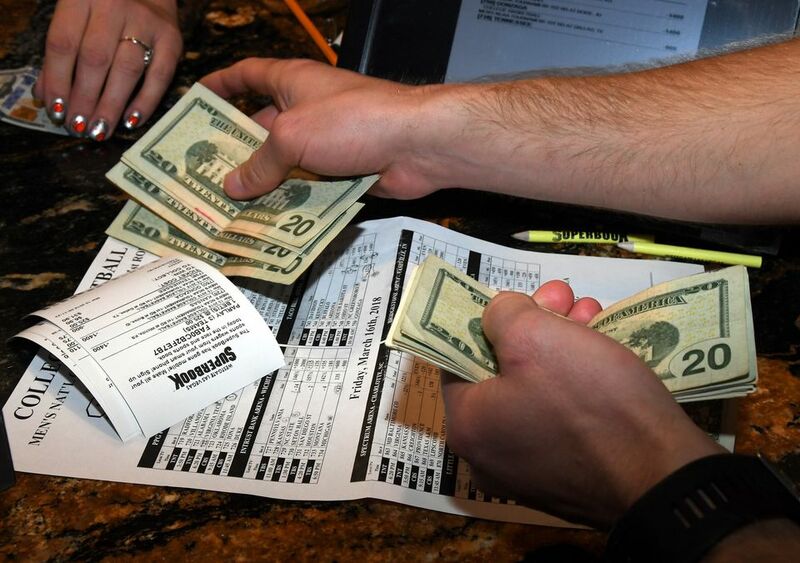 If you love to bet on football there is no better place than Las Vegas. You'll be surrounded by like-minded sports fans and you'll be able to celebrate as loudly as you want. This is as good as it gets. You probably won't find a better place to see a game in Las Vegas. There's food, drink, plenty of screens, and a place to put money on your team. Lagasse's Stadium at The Palazzo Las Vegas has it all. The only drawback to this spot is that finding a cheap meal is not all that easy. You'll have to leave the restaurant and find the food court or go upstairs to Grimaldi's for a slice of pizza. The snack bar here serves some decent food and if you want free drinks,​ drop a couple of bucks on a horse. They have 17 monster screens and over 300 places to sit and enjoy a game. It's located just off the casino floor just in case you need to play a few hands of blackjack during halftime. Food options nearby include the Burger Bar in Mandalay Place or the food court near the convention area. You could also pick up a very good sandwich at Citizens and eat it while watching a game. TV's at every table, six 12' by 15' screens overhead and 50" plasma's everywhere else -- this is what heaven looks like to the sports fan. It's located right next to the poker room and in the middle of everything you need. Food options nearby include the food court so you can eat cheap and not miss the games. The casino action is also nearby so you could possibly play blackjack and watch the game at the same time. It's not a big spot but the seating is very comfortable and they have very attentive servers if you need a constant flow of drinks. 2 220 inch HD screens and 90 more televisions surrounding the room help you keep an eye on every game. For food, walk over to Five 50 Pizza bar and grab a slice or order something to go from Javier's and bring it back to the room. With just under 100 TV's to see all the best sporting events and convenient food right next door, you could easily spend all day watching sports and winning money on the horses at the MGM Grand. The space is comfortable and you have plenty of bars nearby to also catch the game. There is a food court at MGM Grand but head into PUB 1842 instead. The deli still serves good sandwiches and TAP Vegas is nearby if you want a break from the book. Formerly The Las Vegas Hilton, this is a huge room and the excitement really gets going during big games. March Madness here is mad! During football season, get here early and enjoy your Sunday as you indulge with beers and hot dogs. This is a very nice sportsbook and it is generally very roomy. It is a good place to catch a game if your significant other would rather do something else at the same time. This 10,000 square foot book is right off the casino so you can easily sneak in a sandwich from the Carnegie Deli. It's plush, it's fancy, and it smells really nice. You almost don't want to watch a game at the Wynn Las Vegas Sports Book but the chairs are comfortable and the numerous games being aired make it the perfect choice for a sports nut. This is the kind of place you almost feel ashamed to watch a sporting event in. The seats are nice, if you can find one, and the drinks are hard to come by unless you bet big. They have a great bar and a large viewing area. This might be the most comfortable place to watch a game with friends. Right next door you a have other food options and seating allows for pure game viewing or socializing and viewing.